Custom 1968 Dodge Charger RTR: Original Or Custom? Custom muscle cars can polarise the community, with the purist on one side and those that think anything goes for a custom car on the other. Both have valid points, which is the case when I came across this custom 1968 Dodge Charger RTR. Customised vehicles are very subjective in their designs. Mismatch one element such as the wheels and the car can be subjected to a whole slew of negative comments. This Charger which was posted on Hot Cars Facebook page is a fine looking custom and clearly has tons of work put into the project. It’s been lowered and huge wheels added along with a custom interior. No other details on it’s set up. If you read through the comments they are quite polarised. Some don’t mind the customised look, while others go on to say the project has wrecked a classic with all the changes. Some say the wheels are to blame, others say it’s the lowered suspension. Some say that a vintage muscle car should always be restored to its original specs. Maybe check out the post and the comments yourself and decide on which side of the fence you lean on. 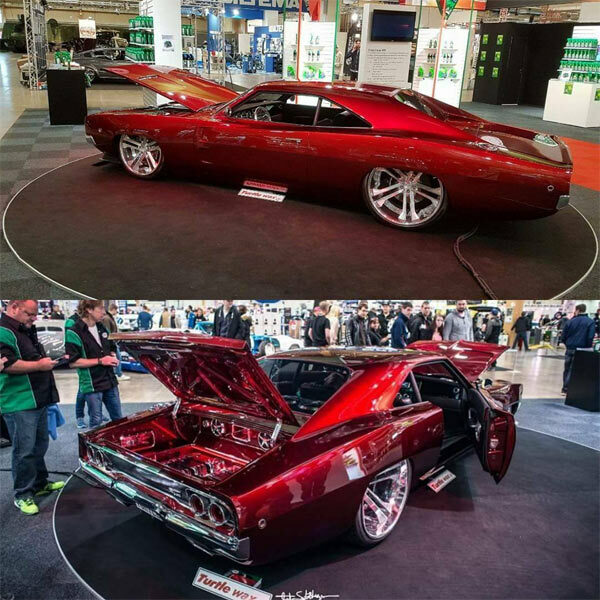 Related ItemsCustom 1968 Dodge Charger RTR: Original Or Custom?